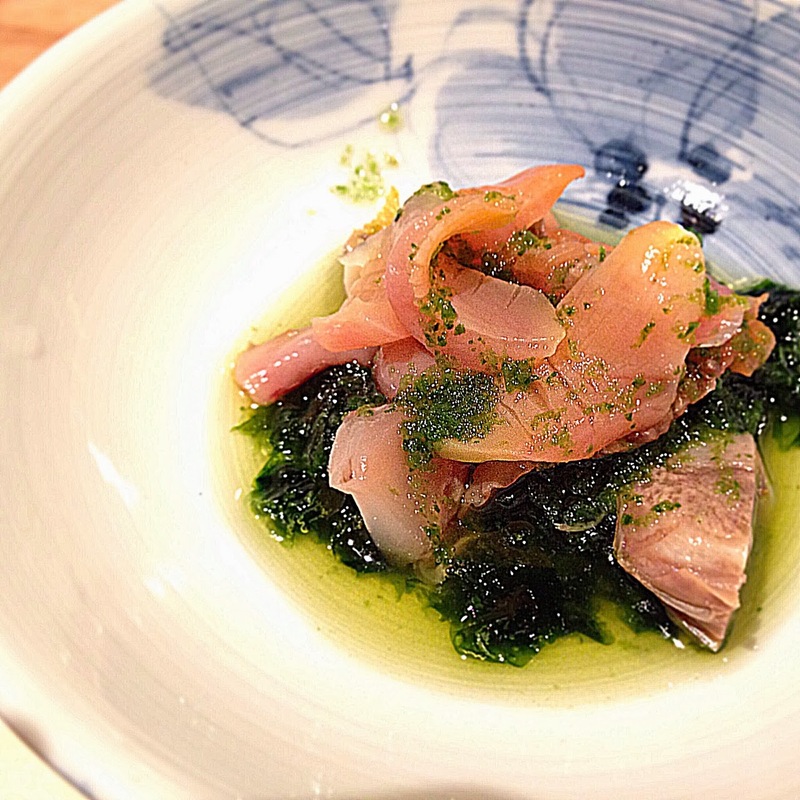 If you ever tire of the city’s crop of omakase/kaiseki eateries, a new kid on the block promises a refreshing experience, veering well beyond the cookie-cutter Japanese offerings of sushi, sashimi and yakitori. 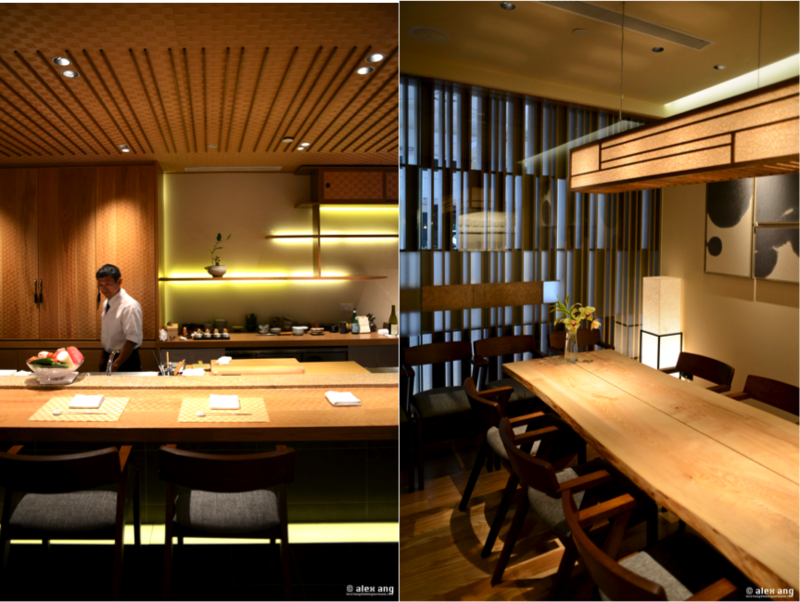 Enter Kappo Yorito, a cozy 18-seat textured wood-swathed Japanese eatery at Robertson Quay that debuted since December 2013. 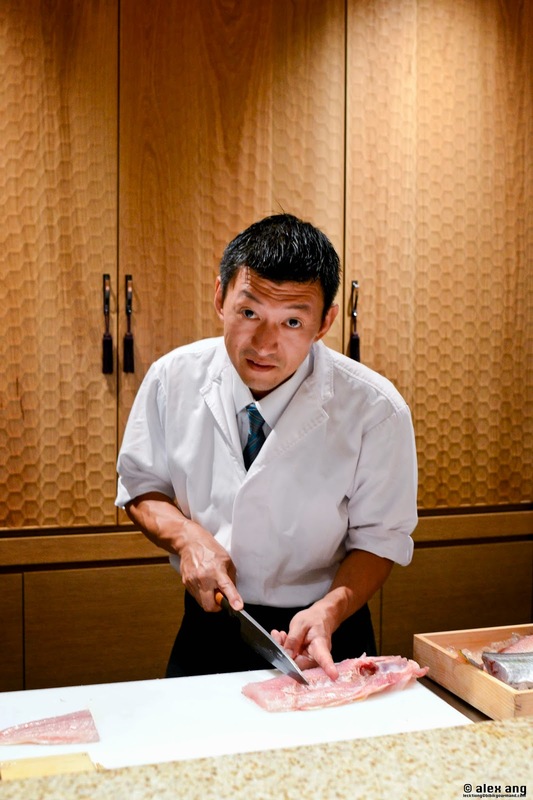 Head chef, Tomohiro Kitagawa, a native of Kyoto who spent the last 28 years cooking in Kyoto and Tokyo (where he operated his own restaurant, Kappo Kitagawa, for 5 years) helms the kappo where he personally dispatches seasonally inspired kaiseki small plates to guests from across the counter. But don’t come here expecting a high level of interaction with the chef unless you speak the Japanese language; chef Kitagawa speaks limited English as he has only recently arrived on our shores. Much like kaiseki, kappo cuisine typically serves refined Japanese fare prepared using traditional cooking methods – think cutting, simmering, stewing and frying. To showcase these varied courses, Kappo Yorito proffers a series of sashimi, stewed dish, grilled food and, at times, fried food packed, neatly into 2 omakase menus (S$198++ and S$258++, one week’s advance order required for the latter menu). 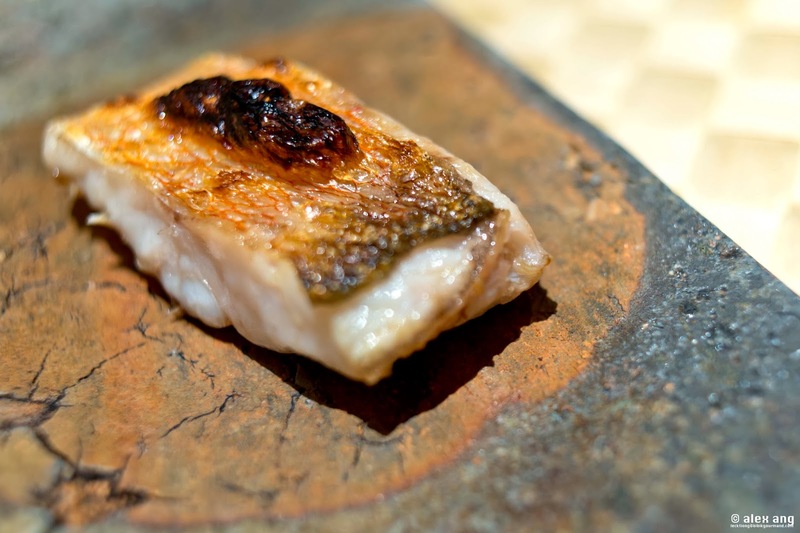 Unless you have a specific request for a premium ingredient – like shirako (cod milt) – to be included in your omakase, the S$198++ menu is an excellent place to start. No prizes for guessing the first course, Tsukiji-sourced sashimi first served as a trio of wild hirame (flounder) topped with tongues of uni (sea urchin), then a fold of Oma maguro flanked by twin pieces of otoro slices, and finally, deliciously crunchy ark shell sashimi tossed in tangy pickled seaweed salad drizzled with cucumber pesto. 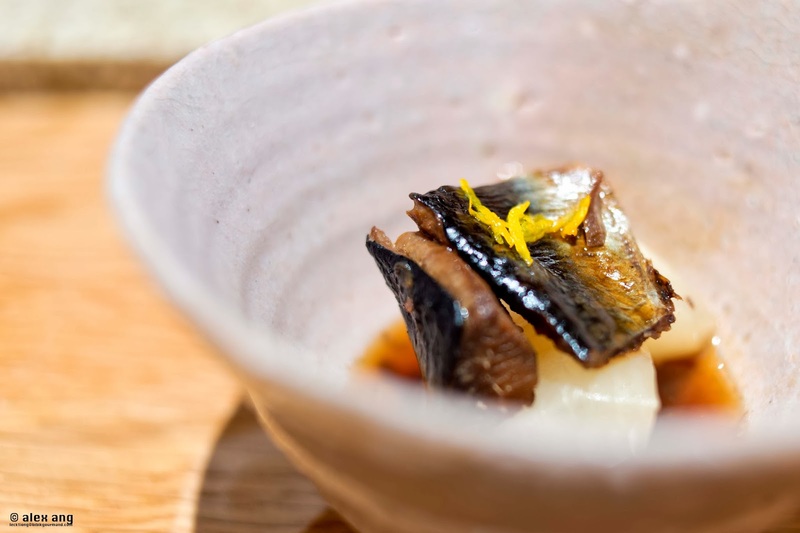 The clean flavours of the raw fish prepares the palate for the wave of umami in the ensuing dish, a hunk of Pacific Herring-crowned kabura turnip in a shallow bath of savoury soya broth so addictive that you’d be tempted to slurp it up. Next, chef Kitagawa fields a slice of moist amadai fish with a side of so-good-you-could-eat-it-on-its-own daikon vinegar-dashi dip. Should you have a preference for beef, voice your request to the staff ahead of time and the chef may surprise you with a slab of grilled wagyu beef instead. 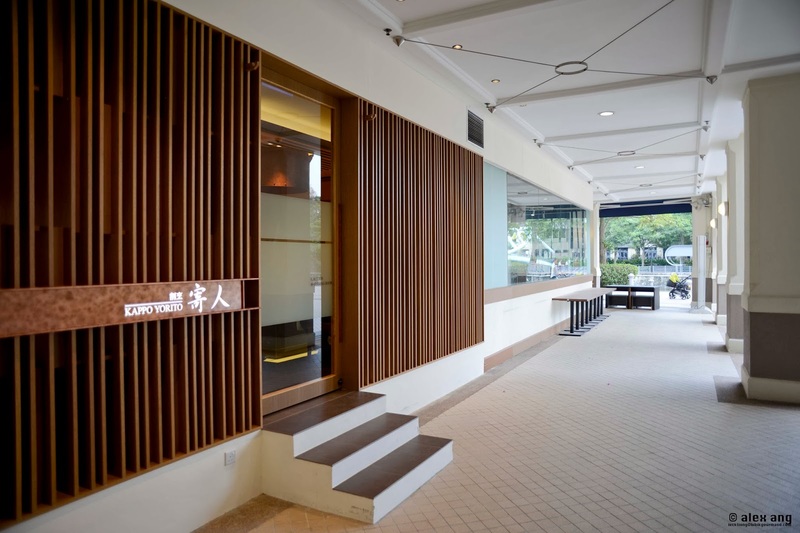 To be completely honest, some diners may frown at the inclusion of oden – a wallet-friendly Japanese street food that locals liken to “yong toufu” – in the tasting menu of an upscale restaurant but it is worth noting that chef Kitagawa’s individually served oden is aptly refined. 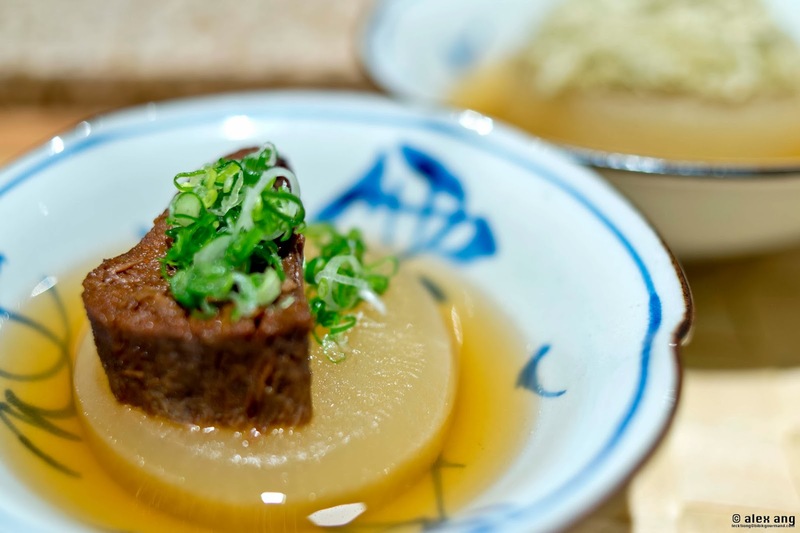 Instead of the ubiquitous soy-flavoured dashi broth, Kappo Yorito’s oden ingredients bask in an aromatic duck-rendered consommé spooned from a gigantic copper cauldron at the counter. 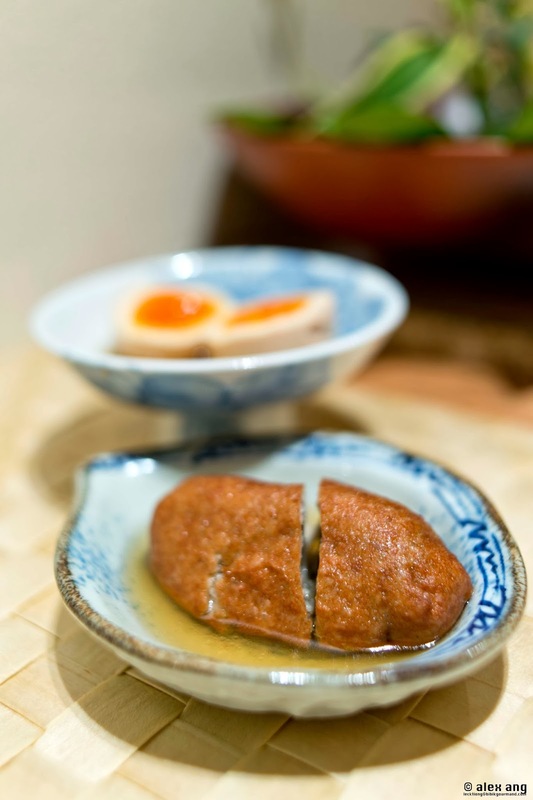 Indeed, you’ll be hard-pressed to find a similar duck consommé oden anywhere on the island or further afield. If all you want for supper is oden, swing by after 10pm when an oden a la carte menu makes its daily debut. 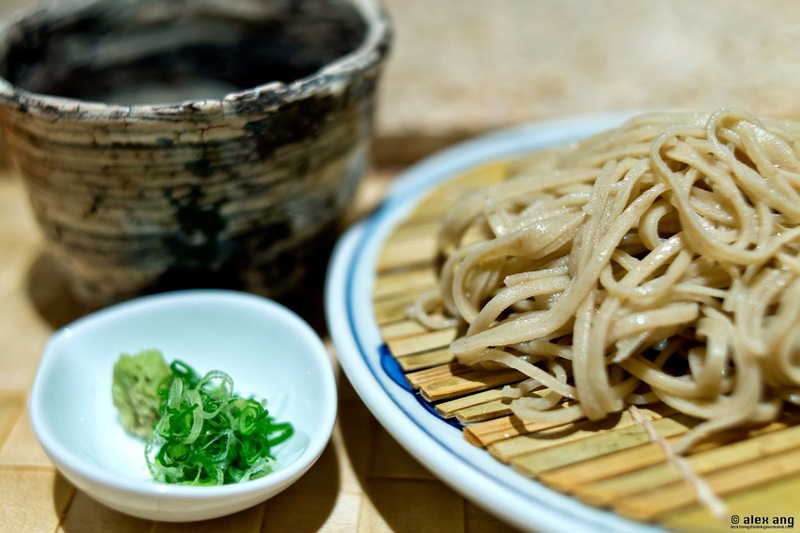 Instead of formulaic sushi dished out at most kaiseki eateries, a choice of house-made soba or claypot rice concludes the dinner. Desserts following swiftly – a plate of sweet and succulent Japan-imported beni-madonna mikan and a scoop of salted ice cream topped with black beans. If there is anything that can elevate this excellent dinner to an outstanding one, it would be a cup of frothy green tea to wash it all down. In its absence, we suggest you defer to Kappo Yorito’s seriously impressive menu of old world wines.